On Saturday April 1, 2017, the H-E-B Slim Down Showdown awarded a total of $40,000 to two community contestants and two H-E-B Partner (employee) contestants who made the greatest gains in health improvement and fan engagement throughout the 12-week competition. Prior to the grand prize winner announcements, the 27 contestants strutted down the runway in a dramatic makeover reveal to show off their hard work. The finale event was held in conjunction with the Alamo Run Fest & Alamo Expo, which featured a variety of free health offerings, fitness ideas, and free product samples. Families were treated to fitness activities throughout the day that helped emphasize the importance of daily activity and exercise. Expo attendees also enjoyed special appearances H-E-Buddy. Hailing from all over Texas, the 27 contestants in this year’s showdown lost more than 840 pounds, logged more than 13 million steps (approximately 6,300 miles). They also wrote 882 blog posts and organized over 110 community events -- from food demonstrations to Zumbathons. 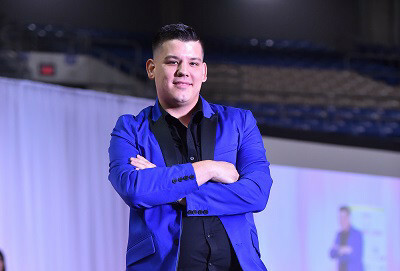 The 27 participants strutted down the runway to deafening cheers from supporters at Saturday’s makeover reveal ceremony at the Alamodome. 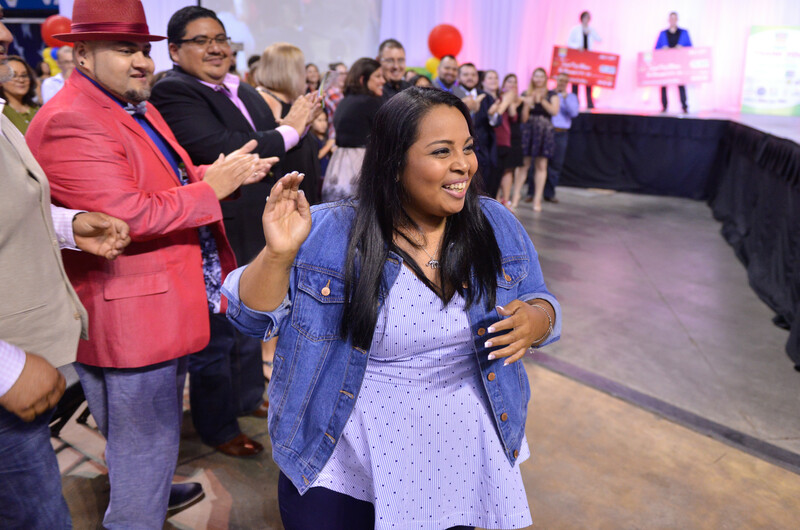 Becky Castro, an H-E-B cashier in Kingsville, earned the $10,000 Female Partner Grand Prize by improving her lipids by 44 percent, losing 19 percent of her visceral body fat and a total of 32.8 pounds. While engaging with her local community members through blog posts, she generated 3,241 comments, likes and shares. 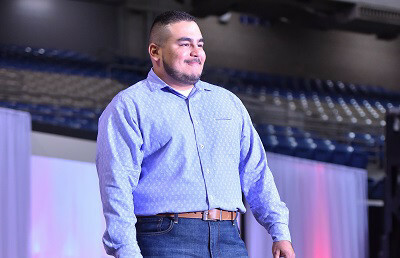 Albert Trevino, a Business Center representative at H-E-B in Brownsville, claimed the $10,000 Male Partner Grand Prize by losing 17 percent body fat, dropping 39.6 pounds and receiving 8,106 comments, likes and shares on his blog posts. 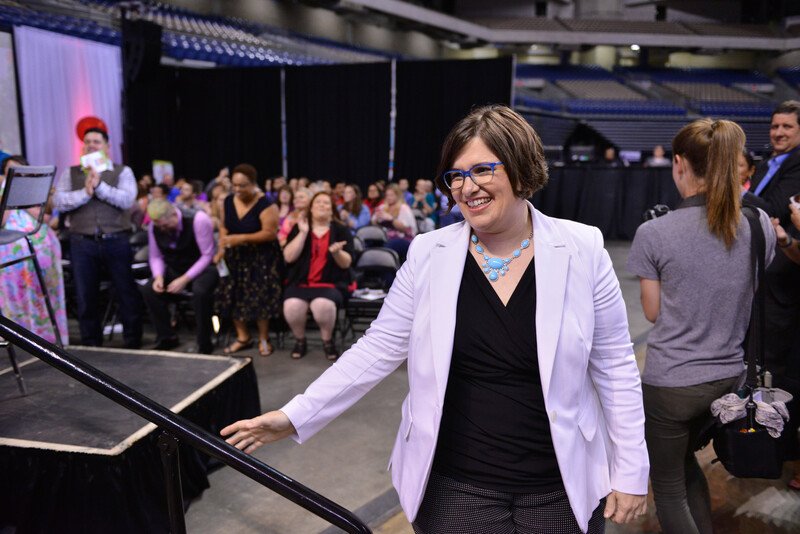 Sara Sanford, an Occupational Therapist from Austin, won the $10,000 Female Community Grand Prize after losing 28.2 pounds, 14 percent visceral body fat, and improving her lipids by 25 percent. She also received 3,568 comments, likes and shares on her blog posts over the course of the competition. Upon hearing her name, her son was the first to congratulate her. Daniel Avila, a Brownsville nurse, took home the $10,000 Male Community Grand Prize by improving his cholesterol by 20 percent and his visceral body fat by 55 percent. His overall health improvements helped him lose a total of 58.6 pounds – 23 percent of his initial body weight.